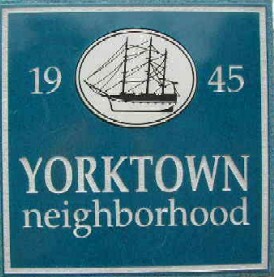 On Wednesday, April 26, 2006, the Arlington County Board approved the Yorktown Civic Association's Neighborhood Plan Update after a presentation by civic association president David Haring. The Yorktown Neighborhood Conservation Plan Update presentation to Arlington's Neighborhood Conservation Advisory Committee (NCAC) was held on Thursday, March 9, 2006. More on the Yorktown Neighborhood Conservation Plan.. The Yorktown Civic Association joined the Arlington County's Neighborhood Conservation (NC) Program in April 1992 and, in February 1995, the Yorktown Neighborhood Conservation Plan was approved by the Arlington County Board. In Arlington County, each neighborhood's conservation plan serves as the primary planning document for the distribution of neighborhood project grants and other neighborhood improvements. The existing Yorktown Neighborhood Conservation Plan also contains detailed survey data along with extensive information on the neighborhood's land use planning, zoning, public safety and traffic issues. In mid-2003, the Executive Committee voted to proceed with a full update to the existing Yorktown plan. The update process began with a status review of the 1995 plan. See Yorktown Neighborhood Conservation Plan, Status Review May 2003.